The 44-minute documentary, Not in Vein, which begins on Arizona’s “super-highway for drug smuggling,” is narrated by investigator Sara Carter, who travels from the U.S.-Mexican border all the way to Ohio to learn about the harsh realities surrounding the opioid crisis that has been plaguing the U.S. for decades. The dominant cartel, Sinaloa, is equipped with U.S.-based groups that protect drug houses and lead illegal drug distribution throughout the country. These groups are armed, and utilize the southern border as a means for trafficking enormous amounts of narcotics into America, seemingly with ease, traveling through U.S. Ports of Entry. The Sinaloa Cartel is the major supplier of heroin and opioids in the U.S. market, according to the Drug Enforcement Administration (DEA). With an unsecured border in the south, nowhere in the U.S. seems to be safe. The plague of narcotics and drug overdoses stemming from distribution by these foreign cartels is not isolated to border communities; it has spread, decimating communities across the nation. In Ohio, the documentary highlights Heidi Riggs, an opioid addiction activist who lost her 20-year-old daughter to a drug overdose. Riggs is likely correct. By declaring the Mexican drug cartels terrorist organizations, the Mexican government is faced with two options: it either cooperates with the U.S. in fighting the cartels, or the U.S. will have to do it alone. Other efforts to stop the cartels have proven futile. Derek Maltz, a former Special Agent in Charge (SAC) of the DOJ, DEA, and Special Operations Division (SOD), also told Breitbart News that the Department of Defense must take this step in securing the US southern border. As stated in the documentary, most of the heroin coming into the country is produced in Mexico, and it is the Mexican drug cartels that control the production and distribution of these drugs. The DEA also considers the Mexican drug cartels the greatest threat to the United States. The White House stated last year that the opioid crisis causes America to endure a death toll equivalent to the September 11th terrorist attack every three weeks, as tens of thousands of Americans die every year due to drug overdose. It is evident that the United States needs to take a more serious, hardline approach on its southern front, for the sovereignty of the nation is at stake. 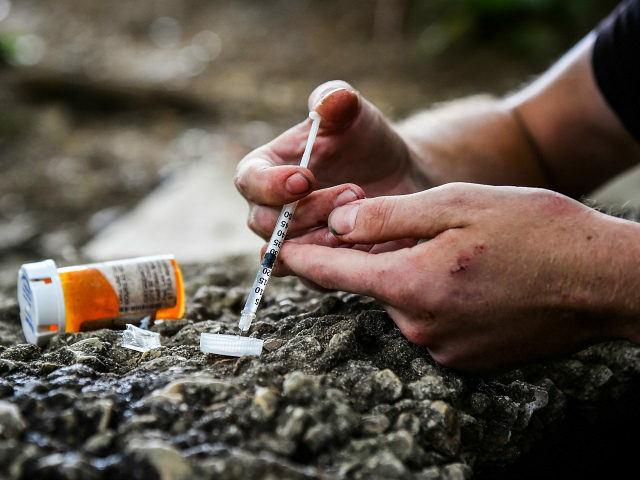 An unsecured U.S. border not only aids illegal immigration and human trafficking, but it is this very same negligence that is in part responsible for the unprecedented number of overdose deaths of Americans across the nation.